Biotech stocks are approaching highs achieved in 2015, as reflected by the Nasdaq Biotech Index. New science is opening up great opportunities with boundless potential. The biotech sector also continues to benefit from potential M&A, faster drug approvals, strong risk appetite, and improving public sentiment. Relatively harder to outperform broader market this year compared to last year, but Biotech presents many opportunities for strong gains. The sector remains favorably positioned to finally record new highs and rally further and should be considered for a portfolio allocation. Biotech stocks are now approaching the highs experienced in mid-2015. The extended consolidation period of 2 1/2 years has set up biotechs for a prolonged rally as it approaches the point of eclipsing the all-time high achieved in 2015. The Nasdaq Biotechnology Index, as represented by its ETF (IBB) is about 10% away from its 2015 high, after the progress was stalled in the pullback last month. But a new high is coming. 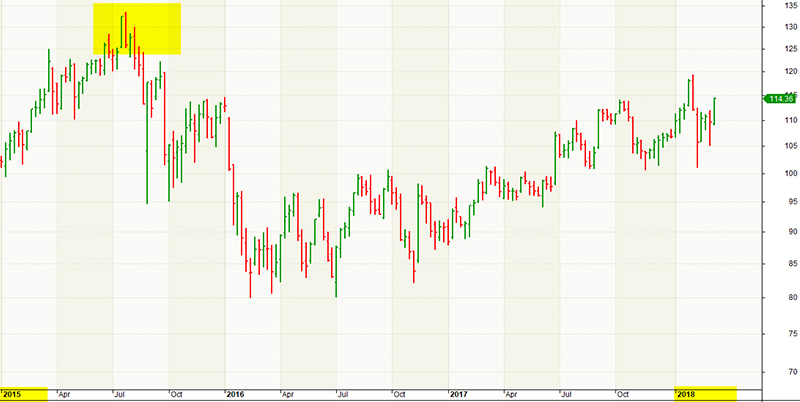 The S&P Biotechnology Index (XBI), which has a preponderance of midcap and smaller cap companies relative to the Nasdaq Biotech Index, eclipsed its 2015 high briefly in late January, before pulling back in February, suggesting there is underlying momentum. As of March 1, the Nasdaq Biotechnology Index was up +1% for 2018, reflecting the sharp February pullback, while the Prudent Biotech portfolio was up +41% for the same period. The market moves in cycles, and when indexes mark a new high after a prolonged period of consolidation, they are very likely to continue higher as the uptrend gains force. Fundamentally as well there are key reasons, few of them highlighted in Biotech Bonanza Market Outlook 2018 and furthermore in Biotechs Well Placed For More Gains, contributing towards a strong performance outlook. With the biotech indexes positioned to finally move above the 2015 peak, there is sufficient momentum to balloon-up the Biotech sails and propel the sector further into the new territory. It is harder to outperform the stock market this year, relative to 2017, as the market has returned to a more typical environment of rallies punctuated with high volatility and pullbacks. In addition, the Trump administration's unpredictability, the tightening Mueller investigation, and the caustic political climate add a major and unique systemic risk to the market health, which will only accentuate volatility. Nonetheless, the strong economy and a pro-growth environment will maintain the long-term stock market uptrend. While one will always find something imperfect with the market at any given time, from our perspective it still remains a good time to invest in biotechs. Portfolio exposure to the high-risk and high-reward biotech sector is a prudent strategy for appropriate investors. Below we look at one of the key reasons for the brightening biotech outlook. These days one gets the feeling that everything is happening faster in biotech. The sector has the dynamism of a start-up era as strides in technology create new pathways to manage and overcome old maladies. There has been a positive flow of news as good science is finally trumping bad publicity. The shift in public perception and investor mindset is quite contrasting to where things were in 2016 and early 2017 when the industry was battling a perception of price-gouging. It's quite ironical that the former CEO of Turing Pharmaceuticals, Martin Shkreli, the actor behind the flagrant price increase of nearly 5500% for the anti-parasitic drug Daraprim, saw his case wind down this month as he was sentenced for crimes unrelated to the drug price increase, at a time when biotechs are positioning to record new all-time highs. Incidentally, that sharp price increase of Daraprim was legal, though clearly not prudent. The sharp outcry led to the industry shifting towards greater self-regulation as companies like Pfizer (PFE), Allergan (AGN), Eli Lilly & Co (LLY), Merck (MRK), Regeneron (REGN), and many others pledged to manage their price increases. In 2017, Johnson & Johnson (JNJ) raised its list prices by 8% but still saw average prices fall 4.6% due to rebates and discounts. As the pricing issue has shifted down to a simmer setting, though definitely not receded, it has allowed the industry spotlight to shift to innovative treatments and their successes. There are many reasons for an improving biotech sentiment, including pressure on large-cap pharmaceuticals to improve returns, faster drug approvals by the FDA, favorable demographics, and potential M&A. The one we wish to highlight today is new science. The pace of innovation in biotechs has become truly startling, as promising ideas and moonshots are finding a highly-favorable financing environment, with venture capital funding at levels not seen since 2014. Artifical Intelligence and Big Data, technology themes that are rippling through all sectors, are being used to pursue innovative drug discoveries. Gene editing has opened new assault fronts on debilitating and fatal diseases. Therapies using CAR-T, which stands for Chimeric Antigen Receptor T-cell where healthy T-cells from a patient's own immune system are extracted, edited and reintroduced in the patient to target cancer cells, have already been approved in two drugs from Novartis (NVS) and Gilead (GILD). Many companies, including Cellectis (CLLS), Crispr Therapeutics (CRSP) and Fate Therapeutics (FATE), are pursuing an allogeneic CAR-T approach, using immune cells from healthy donors to target cancer cells in certain malignancies. This approach can shrink time-to-treatment and compress costs due to a mass production line setup. Not an easy task, but a promising line of treatment with a great potential benefit for the patient population. Companies like Crispr, Editas (EDIT) and Intellia Therapeutics (NTLA) are using the Clustered Regularly Interspaced Short Palindromic Repeats ((CRISPR)) gene-editing technology, which uses the Cas 9 enzymes for editing genes, to target multiple therapeutic programs. Crispr and Vertex (VRTX) recently collaborated to work on beta-thalassemia and sickle cell diseases. Editas has an exclusive agreement with Juno Therapeutics, now Celgene (CELG) after the acquisition of Juno, to develop the next generation of CAR-Ts targeting tumors. Using CRISPR gene editing to pursue grave diseases is a promising effort even though work continues on making the technology more robust, particularly in understanding if the DNA changes or gene edits executed through the Cas9 enzyme, which is derived from two infectious strains of bacteria to snip at genes, will survive a natural human body immune response in most cases. The CRISPR technology continues to evolve rapidly and is a game-changer in transforming the field of medicine. Just a couple of days ago, startup Arbor Biotechnologies, led by a key scientist of the original CRISPR technology team, formally unveiled what it refers to as a more powerful CRISPR version using a different enzyme called the Cas13. The new version is expected to allow for greater versatility in gene editing surgery. A company, Homology Medicines which filed for an IPO last week and is partnered with Novartis, is using a different gene editing approach from the CRISPR technology. The Adeno-associated Virus ((AAV)) approach uses the viral vectors to correct genetic mutations. Using sterile AAV particles as vectors have proven to be a safe strategy thus far for gene therapy. 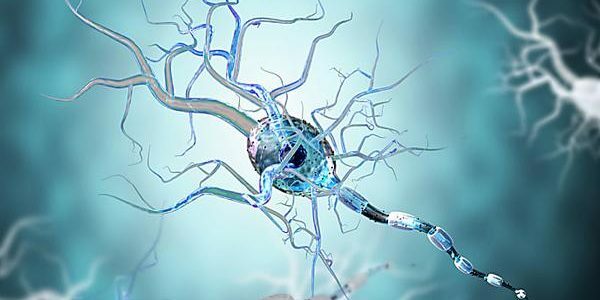 Neurodegenerative diseases are another area receiving attention for gene therapy development. Last month, AbbVie (ABBV) collaborated with Voyager (VYGR) on a gene therapy program for Alzheimer's disease. A private biotech company, Prevail, raised financing last week to continue supporting its gene therapy program to tackle the Parkinson's disease. As the frontiers of biology and computer science are being pushed further, computational science is focused on accelerating drug discovery and improving success rates. Neural networks and big data analysis are spawning many companies in the biotech sphere. One of them is Atomwise, which has developed a platform that uses deep learning from its neural networks to learn about the molecules and the proteins they bind to for targeted drug discovery. Presently there exists a vibrant ecosystem for biotechs with new ideas and approaches finding ready financing from the venture capitalists, ensuring a lively stream of new companies that eventually flow into the public markets. Not all will succeed, but that's how evolution and advancement occurs. It's a sign of a healthy market where both funding (VCs) and exit windows (IPOs and M&A) remain wide open. The biotech sector is favorably positioned as an investment. There is a growing pool of ideas, there is deal-making, and there is sector momentum. We have been unequivocal about the merits of biotech investing, as can be made out from our series of articles over many months. Biotechnology investing doesn't come without risk and has additional volatility due to its unique and binary nature of being trial-driven. In addition, the low volatility of the stock market and its near-constant uptrend since 2016, stood in stark contrast to the weaker performance of the biotech sector. However, this has changed in 2018 as the broader market has rediscovered volatility and pullbacks, as discussed in the article It's Not Over Yet. At the same time, the biotech sector sentiment has become more positive. We don't believe it will be as easy to pick stocks and forget as it was last year. There will be more volatility. But the opportunities for a strong market-beating performance are there. A portfolio exposure to biotechs remains a prudent strategy. Higher volatility by itself should not be a reason to miss out on the potential of biotechs, which are facing a set of favorable circumstances that have not been seen for many years. Using a basket of stocks, with a bias towards mid-and-small-caps, is critical to enhancing risk mitigation while positioning for above-market appreciation. At the same time, the portfolio should continue to be updated as conditions warrant. This strategy has worked well for the Prudent Biotech Portfolio, which was up +41% this year as of March 1, compared to a +1% gain for the Nasdaq Biotech Index, and was up +35% last year. A few promising biotech stocks include Vertex Pharmaceuticals (VRTX), Nektar Therapeutics (NKTR), Sage Therapeutics (SAGE), BeiGene (BGNE), Blueprint Medicine (BPMC), Agio Pharmaceuticals (AGIO), Zogenix (ZGNX), AnaptysBio (ANAB), Sangamo Therapeutics (SGMO), Loxo Oncology (LOXO), Crispr Therapeutics (CRSP), Esperion Therapeutics (ESPR), Global Blood Therapeutic (GBT), Sorrento Therapeutics (SRNE), Neurocrine Biosciences (NBIX), Bluebird (BLUE), Fate Therapeutics (FATE), Mirati Therapeutics (MRTX), Array Biopharma (ARRY), Cymabay Therapeutics (CBAY), T G Therapeutics (TGTX), Atata Biotherapeutics (ATRA), Dicerna Pharmaceuticals (DRNA), and Catalyst Biosciences (CBIO). As always do your own due diligence to determine what makes sense for your portfolio in your financial context.